Activities include crossword puzzles, word searches, self assessments, and MORE! 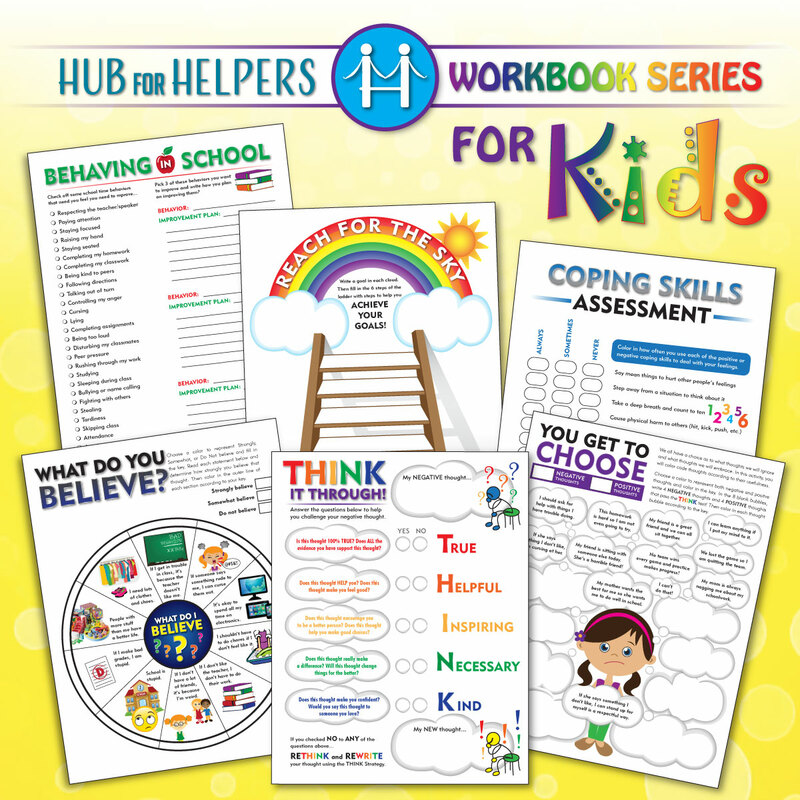 I absolutely love this resource!!! I work with two K-6 elementary schools and a K-12 charter school, and these lessons work perfectly with my younger kiddos AND with my high schoolers ! 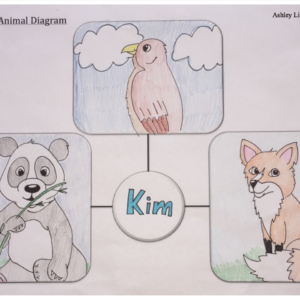 It is easy to modify lessons for the older kids, and for elementary it is literally a ready-to-go resource, which is invaluable for small groups, class lessons, and individual students alike. 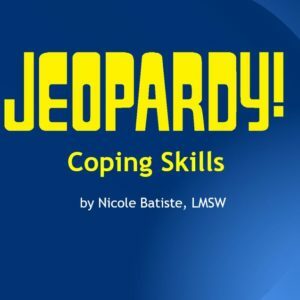 So far I especially love the Coping Skills lessons, as I am focusing a lot of time this year on teaching kids emotional regulation and this fits in PERFECTLY!!!! 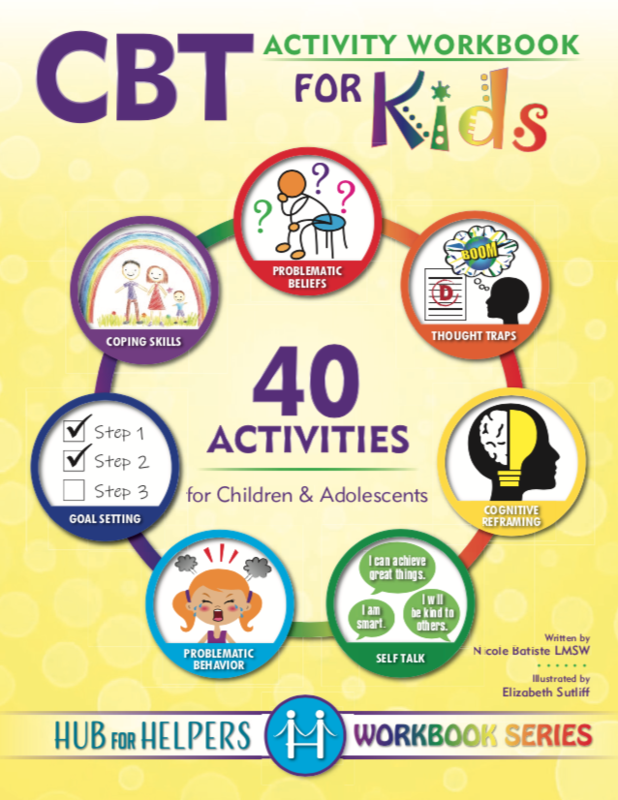 I would recommend this for any school counselor, educator, or therapist who wants to incorporate CBT into their professional practice; I use Brief Solution-Focused with my kiddos and this works right in. Thank you so much for this amazing resource! 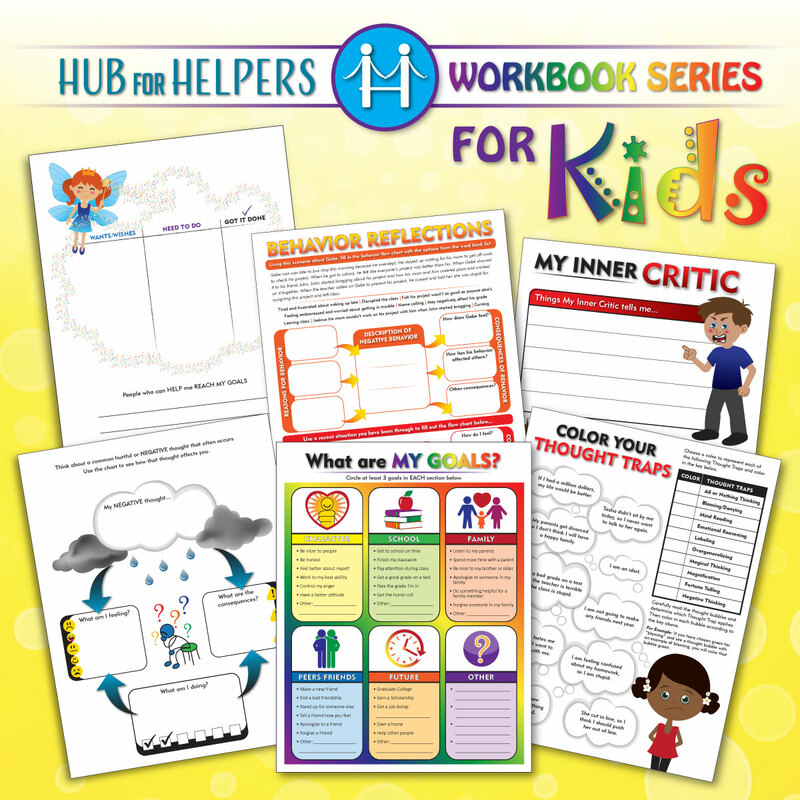 Thank you for creating such a wonderful workbook full of easy to use worksheets. 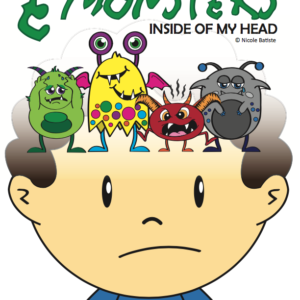 I travel to 4 different elementary schools and sometimes it’s hard to find something for each student within a cbt framework that is easy to understand. 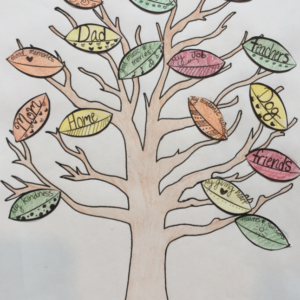 The kids loved the colorful illustrations and I was able to assess which thoughts or beliefs seemed more prominent for that particular client. Thank you, I will definitely be using these worksheets very often! 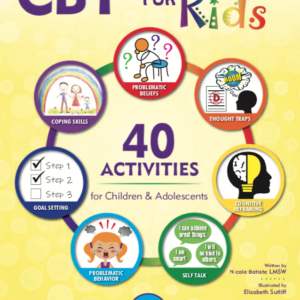 This is easily the best CBT resource I have ever used. 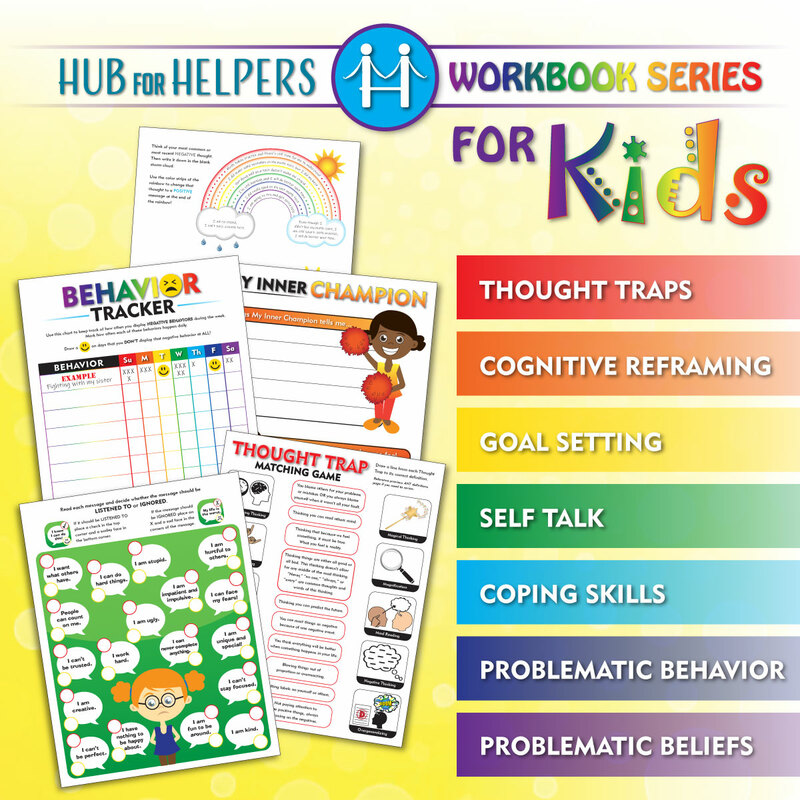 There are SO many different activities included that you can really dive deep into helping a kiddo change their thinking and change their life! The activities are so thorough yet just the right amount of content so kids won’t be overwhelmed. Every single page is meaningful and the design is perfect with lots of color but sleek and clean. I think these could work with a wide range of kiddos thanks to the versatile and engaging design. Thanks for making this work easier and more impactful with this product! !